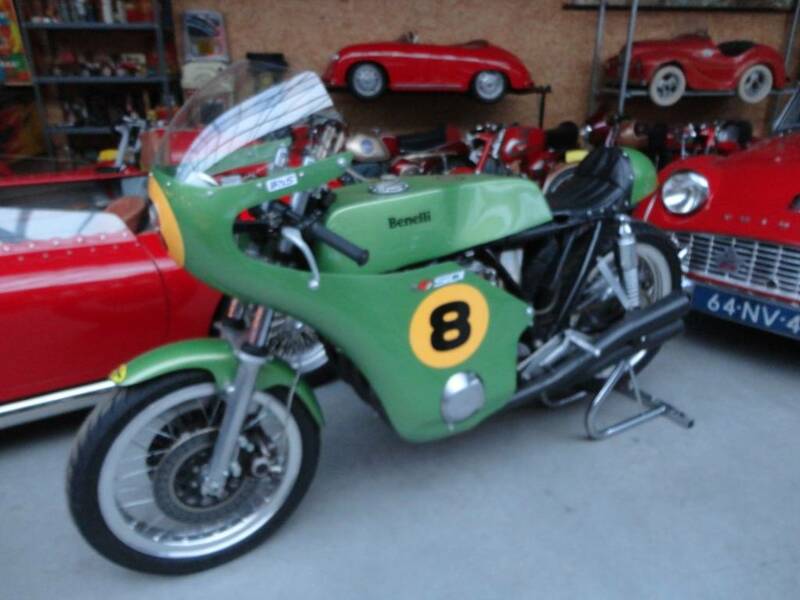 A perfect Benelli 500 CC 4 cilinder classicracer from 1973. In a supercondition.A lot of very special racing extras:fast camshafts, ceramic racecarburetors, electric ignition, biturbo racing shocks, Marzocchi front fork addapted for racing with fork reinforcement.Ready to race and to be used on the road. Big choice in bikes and mopeds in ''''the Stolze Collection''''!